Launch the Bing app for iOS on your iPhone or iPad. Tap the camera icon and on the screen again select the setting for Math (between Auto and Barcode). Focus the camera on the math equation that may be on paper or on the whiteboard. The app can scan printed, typed, or handwritten equations. Bing detects the equation and calculates the answer. Swipe down past the solution, and the app will display how it arrived at the answer step by step. Sometimes, the answer will be supported by a calculator or 2D graph. For now, the feature on the Bing Search app is only available in the US. The feature is also expected to arrive on Android soon. Think of the Math Mode as an advanced scientific calculator or an interactive tutoring tool for half the world that has arithmophobia. There’s another solution of course. 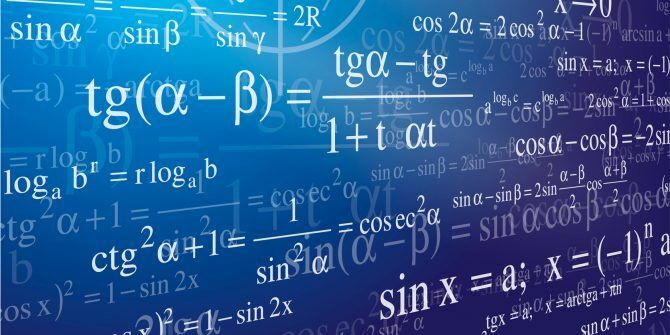 The web can also teach you how to learn mathematics step by step The 20 Websites You Need to Learn Math Step by Step The 20 Websites You Need to Learn Math Step by Step We have compiled the best sites for each level so that you can learn systematically, gain a better grasp of math one level at a time, and have fun! Read More . Explore more about: Artificial Intelligence, Math, Microsoft Bing. What about Android? We shouldn't make it for only iOS. iOS is limited to just one phone/tablet whereas there are dozens of Android manufacturers. So, Microsoft should focus on Android not iOS. They're rolling out Android version soon! Why only ios? Seems like this would a function of Microsoft's servers rather than a local device.